Insomnia or inconsistent sleeping patterns is a very frequent symptom seen in patients with depression. It is estimated that about 75% of all depressed patients have some form of insomnia, and the depression is believe to be linked to disruptions during rapid eye movement, or REM sleep. Disruptions in sleep cause not only depression but other health problems as well. Stress associated with lack of sleep impacts the individual’s quality of life to the point where insomnia is a strong risk factor for suicide. Cognitive dysfunction includes things like decreased ability to recall information, decrease in motor skills, reduced attention spans, and ability to process information quickly. In essence it affects every aspect of higher brain function. Another interesting piece of information is that people who show signs of depression have a difficult time disengaging from negative situations or material. They do not exhibit the ability to control themselves when processing negative material leading them to fixate and dwell on negative issues. This is believed to further exacerbate the problems that come along with depression, and is also a risk factor for suicide. This symptom is very closely linked to the lack of sleep that comes along with episodes of depression. Studies have shown that people with depression are more prone in expression anger and lashing out as opposed to those that do not regularly display irritability. Mood swings may be an indication of a particular form of depression, known as manic or bipolar disorder. People who are depressed may experience periods of time where they have very low energy levels, then all of a sudden out of the blue will experience a surge of energy, causing them to be highly excited and to act abnormally. Many dietary habits and trends are good indicators that a person may be depressed as well. Having a poor appetite, skipping meals or a strong desire for sweet foods are indicators that the individual may be suffering from depression. More and more evidence through scientific studies points towards nutrition as having a heavy influence on the development and progression of these diseases. Researchers have discovered that regions of the brain associated with depression are the same regions that are involved in appetite which led them to believe there is a link between the two. 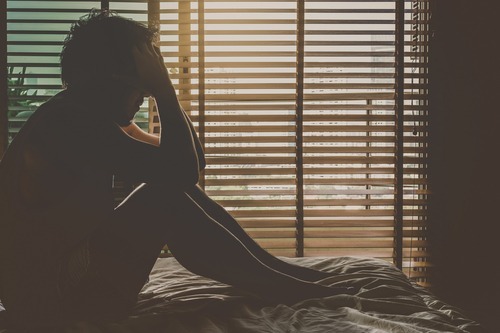 Scientists have always believed that there was a link between psychological pain and physical pain, which couldn’t be more evident in people suffering from depression. This is because neurotransmitters in our brains that control pain and mood; serotonin norepinephrine are reduced in concentration in our synapses in the cases of depressed patients. Basically the two had a direct relationship, the more emotional pain the person was experiencing, the worse the physical pain was as well. People who experience extreme physical pain as the result of depression are more prone to suicide as well, which makes sense considering the link here. 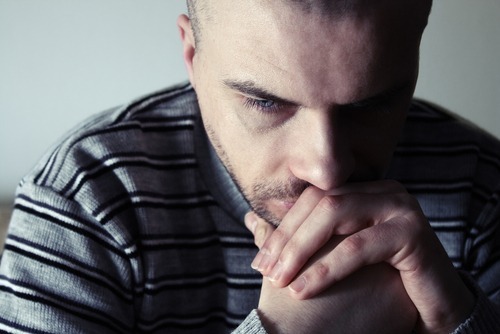 What Can I Do to Reduce My Risk of Becoming Depressed? One of the most effective ways to help reduce your chance of developing depression is to make changes in your diet. As mentioned earlier the evidence that there is a link between diet and depression continues to mount, and thus we should first look to change our diet in reducing our chances of being depressed. Some things you are going to want to have plenty of in your diet are omega 3 fatty acids. Omega 3 fatty acids are important when it comes to the functioning of neurotransmitters. Eating food rich in omega 3 fatty acids will help you maintain psychological balance, and reduce mood swings too. Good sources of omega 3 fatty acids are fatty fish, nuts and seeds . Vitamin D is another important vitamin when it comes to psychological health. Lack of sunlight is another risk factor for depression, as our bodies do not get enough vitamin D from the sun. Vitamin D supplements are the best way to ensure that you are getting enough vitamin D, along with regular exposure to sunlight. People who eat a vegetarian diet or vegan diet should be especially aware, as they are prone to a vitamin B-12 deficiency. Their diet can lead to this, and vitamin B-12 deficiencies are extremely common in depressed patients. Vitamin B-12 plays a role in maintaining proper neurotransmitter function like omega 3 fatty acids. Next Story → Is Zoloft Effectual?